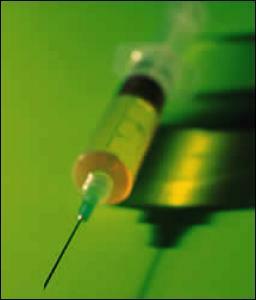 EXECUTIVE SUMMARY: New Zealand's meningococcal disease story, as unravelled through analysis of previously secret documents obtained under the Official Information Act, reveals that the New Zealand government, media and public have been misled and manipulated by officials, advisors and scientists alike. As a result of this manipulation, the government has committed an unprecedented 200 million taxpayer dollars to a mass vaccination experiment of 1.15 million New Zealand children with an untested and experimental vaccine. Despite being reassured by a bevy of pro-vaccine and vaccine manufacturer sponsored experts and none-less than the Minister of Health herself that the MeNZB(tm) vaccine is thoroughly tested and proven to be safe and effective, we reveal that Chiron's MeNZB(tm) vaccine was never used in the trials used to approve its license. We reveal that despite assurances, there is no evidence that the MeNZB(tm) vaccine will actually work as promised. 1. Is the MeNZB vaccine necessary? - Cases of meningococcal disease caused by the strain of bacteria targeted by the MeNZB vaccine have declined by nearly 50 percent since peak levels in 2001. - Deaths due to meningococcal disease caused by the strain of bacteria targeted by the MeNZB vaccine have declined by nearly 75 percent since peak levels in 2001. - If it works, the MeNZB vaccine will prevent at most 1-2 deaths per year out of 700 deaths in under 20 year olds. - Most deaths are now caused by other strains of meningococcal bacteria for which licensed vaccines have been available for some time. 2. Does the MeNZB vaccine work?  Minister's Expert advisory committee. - The MeNZB vaccine will be rolled out without the efficacy data Dr Jane O'Hallahan, MOH. 3. Is the MeNZB vaccine safe? - 9,706 adverse reactions severe enough to warrant going to a GP. - 95,000 adverse reactions severe enough to warrant going to a GP.